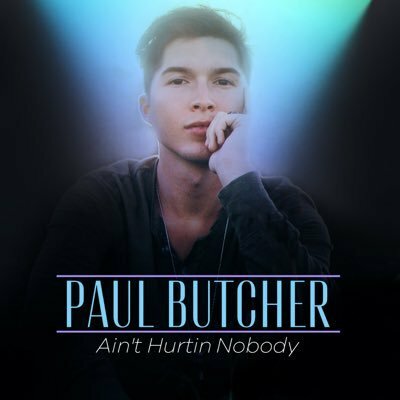 Paul Butcher is an American actor and singer best known for playing roles in the television series “NYPD Blue”, “Zoey 101”, “Bones” and in various movies like “Hollywood homicide” and “The incredible Hulk”. His Youtube page contains videos of live versions of covers including “Mercy” (Shawn Mendes), “Love yourself” (Justin Bieber) and “Little things” (One Direction). Butcher’s new single is “Ain’t hurtin nobody”, a great electro pop track, which has the potential to be a top-charting song. The clip, directed by Justin Richards, features beatiful actress Andrea Susan Bush (“Sisters of the east”, “Not another zombie movie”) as Paul’s love interest.